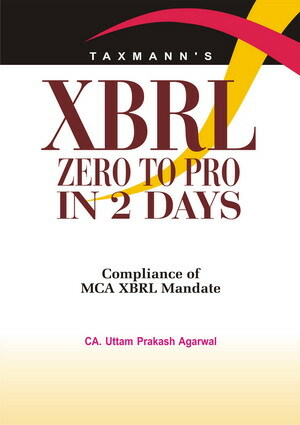 “XBRL: Zero to Pro in 2 days” provides a rare combination of concise as well as comprehensive exposition on the beleaguering topic which is “XBRL”, eXtensible Business Reporting Language. This book has been written specifically in the context of the Indian Ministry of Corporate Affairs’ XBRL mandate and thus leaves out all the unnecessary aspects of XBRL. Both, the concept of XBRL and its use for complying with the mandate, have been simplified to the maximum possible extent. This enables the common man who has absolutely no idea about XBRL to learn and become capable of using XBRL, and that too in a matter of few days! Includes other relevant literature on Future of XBRL, Opportunities for professionals as well as General Circulars issued by the MCA.